He just filed an application with the Bricktown Design Review Committee to renovate the building and surrounding streetscape. However, I can't see the application itself, so I don't know the details. So is he finally letting go of the canal side property and giving up his objections for something better going in there? 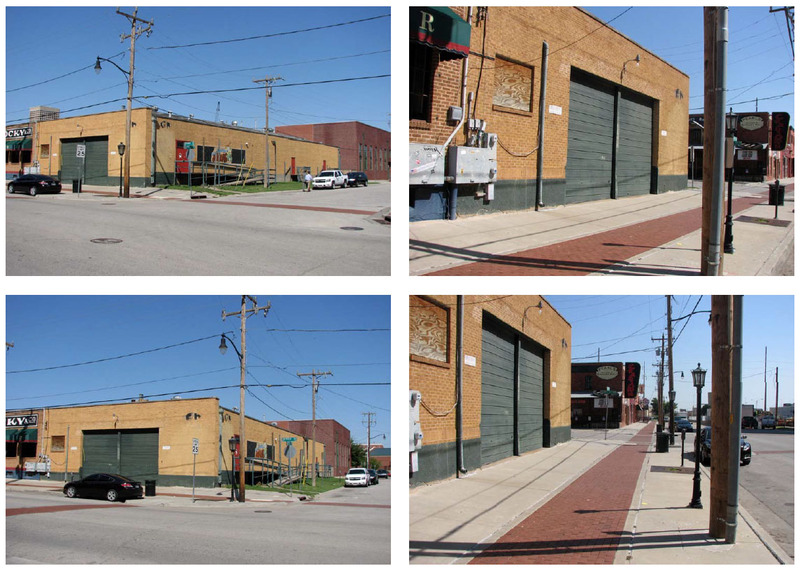 That property is for sale and whoever buys it will have to come up with their own plan and have it approved by the Bricktown Design Review committee. This is cool. That is one of the few boarded up buildings in Bricktown-albiet only one window is boarded up, but no the less. If you look at all the recent activity, Bricktown property and Deep Deuce are getting very close to being completely built out. Probably 20 different projects in progress right now and a bunch more to come. I heard he wanted to turn it into parking (including digging out below to put in underground parking). Not joking. You heard wrong. If your relying on second help gossip, you need to find a better group of people to hang with. Don't forget to take your Metamucil, Gramps. And you don't always have to be such a scold. "Got off my lawn!" 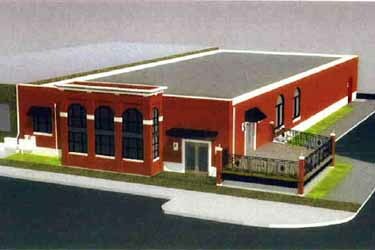 Um, rcjunkie, when it comes to information about applications before Bricktown Urban Design, I'd put my complete trust in Cafe. He's THE GUY who accepted the applications until a few weeks. Cafe, why do you no longer take the applications? Leaving okc? Yes, I left for a cushy private sector job. I left the City at the end of April to pursue an outside opportunity that I couldn't pass up. I'm amazed at this new Chris Johnson rumor though. Wow, just wow. 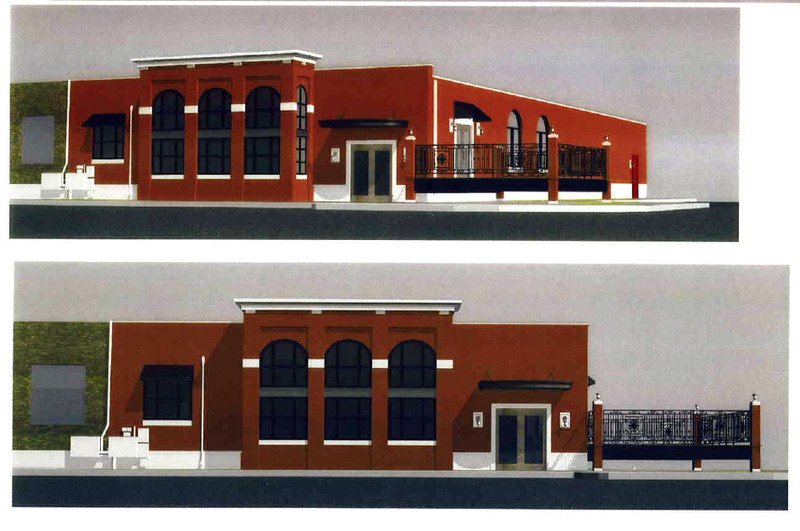 Here are the renderings for this project that will be considered in the next Bricktown Design Review Committee. City staff has recommended Johnson re-work the side deck so as not to interfere with the public right-of-way. I think the staff report says he needs to re-work the front (Sheridan) vestibule, not the side deck. Do you know the use? Offices for his business or someone else? That is pretty darn nice. Is the patio to be part of a restaurant or coffee shop? Yes, that's what staff is calling out. I agree with their position. 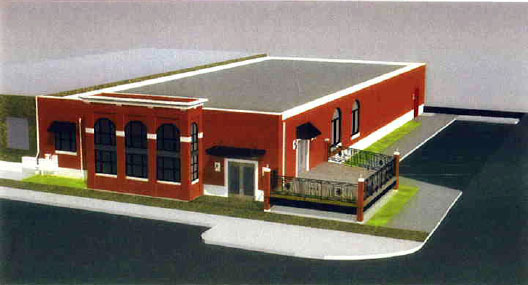 I think Chris actually intends to move Bedlam here and do a cafe with the outdoor deck. He's got some good ideas, but his insistence on parking has been his holdup. Yeah - I assume you are referring to the angled parking on the east (?)side. That may be worth conceding since it isn't on the main thoroughfare and the setback exists today if the rest of the project is built according to the drawings. That parking will likely narrow the street much in keeping with mainstreet programs/project 180 which would overall be a plus. This looks great. Actually, I was referring to his previous development proposal, and the idea he had to add parking inside 229 E Sheridan. I think he's finally abandoned trying to make money off of parking and move toward making an actual retail impression in Bricktown. I really l like the new footprint. The angled parking and the effective bulb-out behavior of the new patio and sidewalk is great. If he flattened out the streetwall I'd give this one a 100% awesome rating. Only thing you could do if you were dreaming big is extend the patio to the north more. But there may be physical reasons that doesn't make sense. The parking proposal for inside of that building was not a paid parking scheme. It was tied to a development he was working on for the canal lots. It's nothing that has been discussed here or anywhere else publicly, so I'm not comfortable going into any further details, but just know that parking in that building was merely the byproduct of what he was working on elsewhere. I'm assuming that plan has stalled if he's moving on to developing the Sheridan building as retail, but I haven't discussed it with him lately. In today's Journal Record, it's reported Johnson hopes to attract a "nationally know restaurant chain".